University President Lawrence S. Bacow recently met with a U.S. Treasury Department official as the government prepares final regulations for taxing university endowments, Bacow said in an interview last month. Harvard’s endowment, valued at $39.2 billion, qualifies for taxation under the new tax codes Republican lawmakers passed last year. The University's endowment was previously exempt from taxes because the school is a non-profit entity. Executive nonenforcement of the law is a hot-button issue. An important question that has surfaced in the debate about such nonenforcement is whether categorical, or complete, prospective nonenforcement of the law is legitimate. A variety of scholars and commentators have suggested that it is not. This Article contests such claims by applying theories of agency legitimacy to the realities of IRS nonenforcement of the tax law. Doing so reveals that, in some circumstances, categorical nonenforcement may actually increase the legitimacy of the IRS’s nonenforcement. Last Spring, I ran a series of posts on Structuring a Tax Policy Workshop Series -- spawned by Leandra Lederman's decision to start a tax workshop series at Indiana-Bloomington -- with contributions from those schools with such a series (Boston College, Columbia, Connecticut, Loyola-L.A., Michigan, NYU, Northwestern, Penn, Toronto, and UCLA), as well as Neil Buchanan's thoughts on the "Best Practices" emerging from these contributions (and Roberta Mann's "Collector's Edition" -- a Word document with all of the entries in the series). Below the fold, Leandra offers her thoughts on the first year of Indiana-Bloomington's Tax Policy Colloquium Series. This series of posts describing different law schools' tax policy workshops has been extremely valuable. A number of similarities across schools have emerged; yet it is also interesting to see how many seemingly small decisions must be made in structuring a workshop. Paul Caron has asked me to distill some "best practices" from what we've read here and from my own experiences presenting papers at workshops. This is an especially pertinent inquiry for me, because it is quite possible that we will be starting a tax policy workshop at GW as early as Fall 2009. 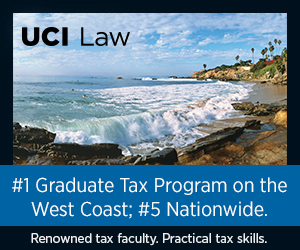 Like many readers of TaxProf, I have been an avid participant in the tax policy workshop series around the country. I have presented works-in-progress at Loyola-L.A., Michigan, NYU (twice), and Toronto; and I have attended workshops at Columbia and NYU regularly. When I was in my final semester of the JD program at Michigan in Spring 2002, the tax faculty there (Reuven Avi-Yonah, Jim Hines, and Kyle Logue) inaugurated Michigan's tax policy workshop. Being enrolled in that workshop was such a positive experience for me that it convinced me to focus my future scholarship entirely on tax policy. 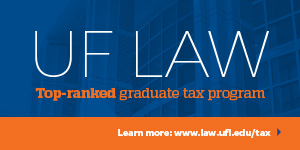 It is a very positive development that ever more law schools are creating these workshops, both for the benefit of tax scholars and for students who might be inspired to become tax scholars. We have generally had seven authors in a semester, with a class discussion of the next paper in the alternate weeks. The author sessions are in the late afternoon and are open not only to our law school and university faculty, but to the other tax faculty and interested others in the Chicago area. So far, we have opted for a broad range of authors with a broad range of topics and methods, rather than trying to have any particular focus. The emphasis of the colloquium, as well as the other invited speakers programs maintained by the Graduate Tax Program, has been on exposing the students to the full variety of scholarly and professional pursuits that can emerge from and feed into tax expertise they are developing. We started the UCLA Colloquium on Tax Policy and Public Finance in January 2004. From the outset, one of our main objectives was to bring in speakers from a wide range of fields in the hopes of contributing to a dialogue on tax policy that transcends the usual disciplinary boundaries of academia. Toward that end, we have hosted 56 speakers from several areas of study, including law, government, economics, political science, history and sociology. We also wanted to take advantage of the law school's proximity to other schools and departments here on the UCLA campus. While the workshop is organized each Spring by two of us here in the law school (alternately including Eric Zolt, Kirk Stark, Steve Bank and -- before he left for better weather -- Victor Fleischer), we've been fortunate to have other UCLA faculty regularly involved as well. Most notably, we've benefited greatly from the regular attendance of Al Harberger from our economics department. Al has attended nearly every session since January 2004 and on more than one occasion has graced our whiteboard with his famous triangles. We've just started a tax policy colloquium at Columbia, so our experience is limited to one year. Both students and faculty participate. To give students some basic understanding of what's about to come, we spend the first two classes lecturing on key tax policy concepts. We also assign a fair bit of "Taxing Ourselves" by Slemrod & Bakija (now in 4th edition). After that, it's a different presenter every week, with students writing short response papers and getting a final grade based on these papers and on their participation in the discussion. It took a considerable effort to convince students to ask questions, but we managed to succeed after two or three sessions. We kept separate queues for students and professors, and alternated between the two queues. This way students were certain to ask their questions, but could also listen how the discussion unfolded among academics. We thought about arranging papers thematically, but it was just too hard given the presenters' timing preferences. We also didn't give systematic feedback to the students, but responded to informal inquiries about the quality of their response papers and in-class questions. I would say that our format is really a faculty workshop with student participation. As long as students understand what they are signing up for (we made sure they did), they end up pretty satisfied with the experience. Part I: When I attended NYU's Graduate Tax Program, I took the Tax Policy Colloquium (then taught by David Shaviro and the late David Bradford). Sometimes I found the papers to be accessible and interesting; other times I felt that I didn't have a sufficient knowledge of, or experience with, tax to comment on them critically. There were some papers that I understood the substance of but could not appreciate why they were important. NYU had the first tax policy colloquium, for which I must thank John Sexton, our dean at the time when I was considering moving from Chicago to NYU. John put me in touch with David Bradford and suggested that we introduce a colloquium along the lines of the Dworkin-Nagel law and philosophy colloquium at NYU. Ours remains fairly unique among tax colloquia that I have attended, in that we don’t have the author present the paper but plunge right into directed discussion in the public afternoon session (which comes after a two-hour morning session with the students followed by lunch with the speaker). Done right in circumstances where it’s feasible, I believe this is the best approach, but there are a number of preconditions for it to be feasible. The conveners (there really have to be at least 2 for it to work well) have to be ready, willing, and able to take on all topics. They have to have enough time (which depends in part on the teaching credits they get) to be able to spend a great deal of time thinking about the issues. They have to spend enough time with the author in advance of the session, in a collegial spirit that avoids being either too deferential or too confrontational, to make the public discussion a shared enterprise based on having cleared away all initial misunderstandings. And they have to have a sufficiently large and lively audience, with a culture of participation, so that the audience doesn’t sit there thinking: “Why do we need to listen to these guys again instead of hearing the author, who is here just for the day?” When I am the discussion leader (I take turns with my partner), then even if I have lots of things to say I try to keep in mind the maxim “Jason Kidd, not Stephon Marbury.” In other words, try to facilitate discussion not dominate it, and get things to the audience fairly swiftly but having suggested guidelines that will shape what comes next. The James Hausman Tax Law and Policy Workshop began at the Faculty of Law of the University of Toronto in the fall of 2004. The primary motivation behind the workshop is to increase the profile and circulation of innovative and emerging tax research at the law school and, to the extent possible through this type of forum, the broader tax community. A number of secondary motivations surrounding the workshop include: (a) promoting the pedagogical value of exposing all interested students to the latest tax research; (b) generating useful feedback for our invited guests in the form of written student comments; and (c) solidifying the desirability of the law school for JD and graduate students who are interested in studying tax law and policy. The primary motivation of the workshop — to increase and profile and circulation of innovative and emerging tax research at the law school — in my view has been and remains dominant as we approach its fifth year. 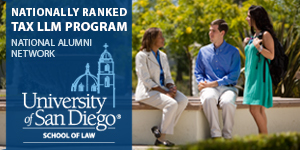 While the workshop is open to all members of the law school community (and beyond), it is offered for credit to a limited number of upper year JD and graduate students (maximum enrollment is 10), all of whom must have taken at least the introductory income tax course, and are encouraged to take additional tax courses as well. The workshops are usually held every two to three weeks throughout the year. Students enrolled in the workshop for credit prepare short written responses to the papers that are presented, and produce a longer tax policy paper at the end of the course on a topic of their own choosing. In keeping with the primary motivation of the workshop, there has not been a preoccupation with an overall theme or with establishing a logical course of development from one workshop to the next; instead, the workshop strives simply to attract those who are doing important and influential work in tax law and policy to Toronto. We are extraordinarily grateful to the friends and family of James Hausman who continue to honour his life and work by providing financial support to the workshop. Without them, the workshop would not be possible. Structuring a Tax Policy Workshop Series -- Loyola-L.A. The Boston College Law School Tax Policy Workshop Series involves guest speakers presenting their papers to faculty from BC and other Boston area schools, BC alumni who are tax practitioners or government policymakers, and students who have a strong interest in tax. Papers for each workshop are emailed to participants at least one week in advance. We limit the number of attendees to 20 and seat everyone around one large table in order to maintain an informal and relaxed atmosphere. After lunch is served, the presenter speaks for about one half hour followed by discussion and questions for another hour. This was our first year running the workshop. We had had a great time, learned a lot, and enjoyed the company of wonderful guest speakers. Even our non-tax faculty have commented how much they have enjoyed the workshops! Established in 2006, the University of Connecticut Tax Lecture Series is not a formal course. Instead, throughout the year, we have invited three to four tax faculty members from other schools, aiming for two lectures in the fall and two in the spring. Lectures are open to the whole law school community, and student participation has been fairly active, in part because the tax faculty strongly encourages our students to attend, and the paper is available at least a week in advance of the lecture. I also ask the students in my classes who will attend the lectures to write out questions in advance of the lecture, which I think has contributed to the high quality of the discussion. Additionally, when a lecture touches on other areas of law, I usually contact the relevant faculty member. So, for example, when Michael Tumpel of Johannes Kepler University in Linz talked about indirect taxation in the European Union, I contacted my colleague Willajeanne McLean, who teaches EU law. She asked her students to attend the lecture, which produced an informed audience. Since the lecture series is not a formal course, the students do not have the benefit of the kind of advanced discussion that takes place at NYU or Indiana. At Penn, we have been running our tax policy workshop since 2002. Each year, we invite roughly half as many academic speakers as there are class sessions. That generally means we have only five or six paper presentations. The week before each speaker's presentation one of us presents a lecture on the topic area of the speaker's paper. Before attending that preparatory lecture the students have read a set of background materials. The readings are intended to situate the speaker’s paper within the existing literature or introduce the students to some of the tools used by the speaker. We find that providing both background readings and a preparatory lecture for each speaker greatly raises the level of student interest and the quality of student questions and comments at the speaker's presentation. Our Tax Policy Workshop is loosely modeled on NYU's, except that the authors get to present their own papers. It is attended by students and faculty from law, economics and business. The speaker presents for about half an hour and then we have an open discussion. Two recent innovations have been to enforce a rule that students get to speak first (otherwise faculty tend to dominate the discussion), and to have a preparatory session with students the week before the speaker presentation (so that we only have six or seven presenters each year other than thirteen). Over the years since 2002, we have been able to hear many of the top names in the field, including both lawyers and economists. We try not to have too many repeat players, so as to open the opportunity to as wide a field as possible. I think we all feel the series has been a successful contribution to the intellectual life of the law school and to our students, including both the JDs and the tax LLM students (for whom it is a required course). Paul asked me to kick off a discussion about tax workshop series in which students participate; Indiana-Bloomington recently considered and adopted a proposal for a Tax Policy Colloquium, which we will launch next spring. Like colloquia at other schools, it will be structured as a class for students in which faculty will also participate. I proposed the colloquium partly because Indiana-Bloomington recently adopted a strategic plan that highlights the importance of scholarship and has among its goals (1) the inclusion of students in our intellectual community by bringing faculty scholarship into the classroom, and (2) the development of forums for intensive intellectual exchange within the faculty. My colleague Ajay Mehrotra plans to run the colloquium in alternate years. It will be open to our full faculty, and we will also invite our adjunct tax faculty, tax faculty from the Kelley School of Business, and faculty in other schools on campus who are interested in tax policy issues. Indiana does not have a tax LL.M. program, so the colloquium will be structured with that in mind. Students will be required to write a short reaction paper in response to each paper that is presented in the colloquium, and, as is customary, those reaction papers will be shared with the presenters. Income Tax will be a prerequisite, and we are planning to experiment with an invitation/permission-of-the-instructor format, in order to recruit students with the interest and commitment necessary to make the colloquium a success. We also concluded that it would be best to have speakers only in alternate weeks so that we can first discuss the speaker’s paper as a class, to help prepare the students for the discussion with the speaker. Perhaps the trickiest issue about a course like this is to balance pedagogical needs with the needs of presenters. With respect to the pedagogical component, I plan to encourage students to ask their questions first and faculty to hold their questions until students have had a chance to participate. In addition, I intend to try, as much as possible, to select papers that will be accessible to the students. For example, many individual federal income tax topics would be a natural fit, particularly for early in the semester. Ajay and I have also discussed assigning background reading to familiarize the students with the relevant literature. With respect to the presenters, for their experience to be a really good one, I think faculty participation is essential. Before proposing the colloquium, I ascertained that Ajay; Bill Popkin; and our Assistant Dean for Research, Archana Sridhar, who is a tax specialist, would all be interested in participating on a regular basis, and at least a few other faculty would be interested in attending periodically. To involve as many interested faculty as possible, we will try to select some papers that fit within their areas of interest, such as business tax papers that will interest Kelley School faculty, so long as the topics will be reasonably accessible to the students. I have no doubt that this will be a learning process, but it is one that my colleagues and the students I have talked to are excited about. I look forward to hearing from others and learning from their experiences.